Students at St. Pius X School in Glencoe were undaunted by blustery winds Friday as they participated in the annual nonpublic school marathon. The marathon helps raise funds for private schools. 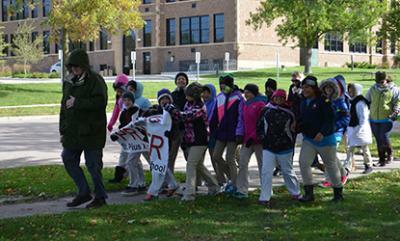 First Lutheran School postponed its marathon to Tuesday, Oct. 7, because of the weather.